MET faculty work on the leading edge of curriculum design and technology integration, digital culture, youth culture, digital literacy, gaming, and interface design. Our courses examine digital learning and culture from a wide range of perspectives, including environmental and sustainability education, Indigenous learning frameworks, and inclusive education. Visit How to Apply: Master of Educational Technology Degree or How to Apply: Graduate Certificate Programs for more details. Our fully online graduate program offers three internationally-recognized credentials that explore the potential uses and impacts of learning technologies in a variety of contexts. Join our international community of learners and discover how the informed use of digital media and technology can inspire learners and educators within and beyond classrooms, around the world. Current students are warmly invited to join any of the MET social media channels that are part of the MET Community Hub. These channels are populated by MET students, alumni, faculty and staff. Ready to apply? Applications and all relevant documents must be submitted by application deadlines. An Academic Advisor is available to provide assistance with your registration planning. Jennifer Long graduated from UBC’s Master of Educational Technology (MET) program in 2014. Then she brought her passion for teaching all the way to Antarctica. Dr. Mary Bryson is the author of multiple publications concerning the social, cultural and educational significance of networked media technologies and publics that make significant contributions to theoretical accounts of gendered and sexual marginality, knowledge mobilization and resilience. 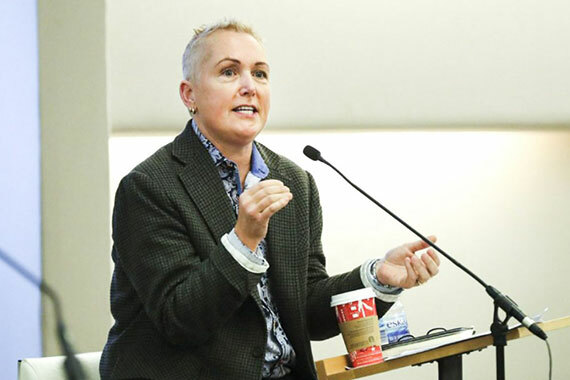 On March 5th, 2019, MET hosted a public lecture by distinguished Visiting Lecturer Dr. Heidi Janz and UBC’s Dr. Michelle Stack on questions relating to technology, inclusion and ability in classrooms and in society. UBC MET’s anticipated course schedules are posted a 3 years in advance to assist students in planning their learning path.